6 September 2011 — New Installer Streamlines Deployment, Extends High Availability to Windows Server 2008 R2. 25 July 2011 — Oracle announced that early access to new features of MySQL 5.6 is available for the community to test, deploy and provide feedback. 27 June 2011 — Enables MySQL Users to More Effectively Deploy and Manage Web and Cloud Applications at a Lower Cost. 11 April 2011 — New Features Make MySQL Even Better for Web, Cloud, and Embedded Applications. 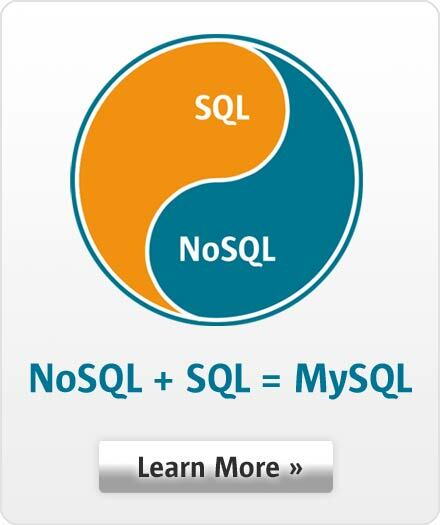 8 April 2011 — MySQL is the world’s most popular open-source database, and powers websites and applications of numerous leading and fast-growing organizations. The OTN Developer Day MySQL is a one-stop shop for you to learn all the essential skills about MySQL. In this free, one-day seminar, we will cover everything you need to know to successfully design, develop, and manage your MySQL databases. You’ll also learn the guidelines and best practices in performance tuning and scalability. 3 January 2011 — Oracle Magazine highlights MySQL as the Cover Feature in January - February 2011 issue.